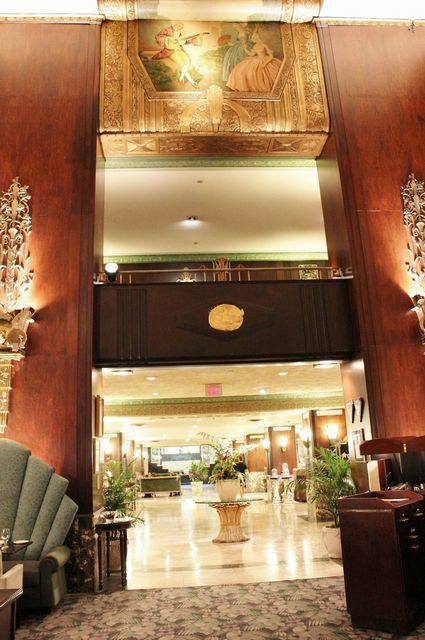 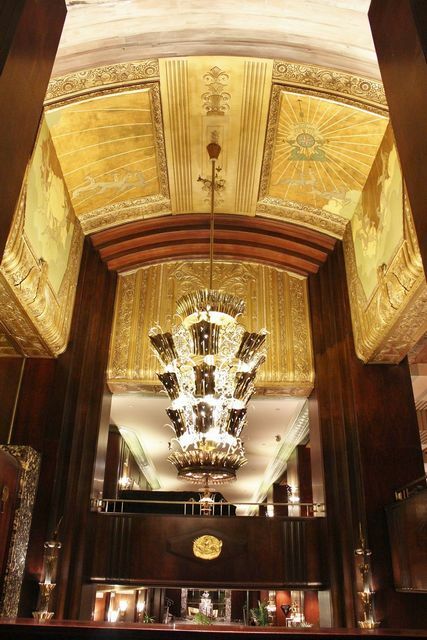 Opened in January 1931 and is a National Historic Landmark and charter member of the Historic Hotels of America. 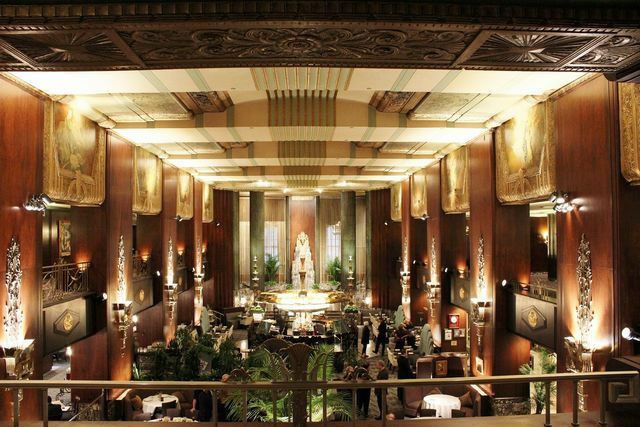 The interior is French, Egyptian and Greek themed expressing grandeurs of art deco. 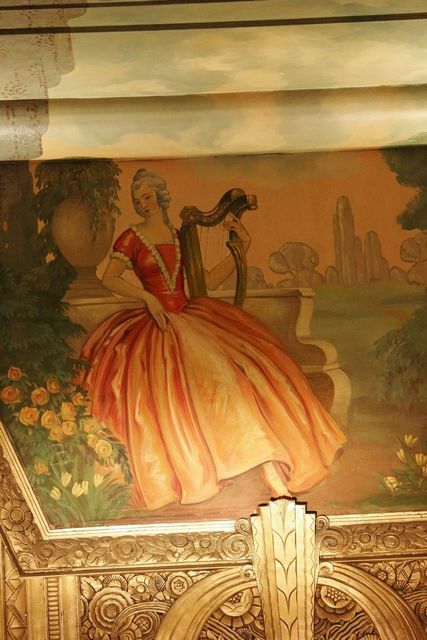 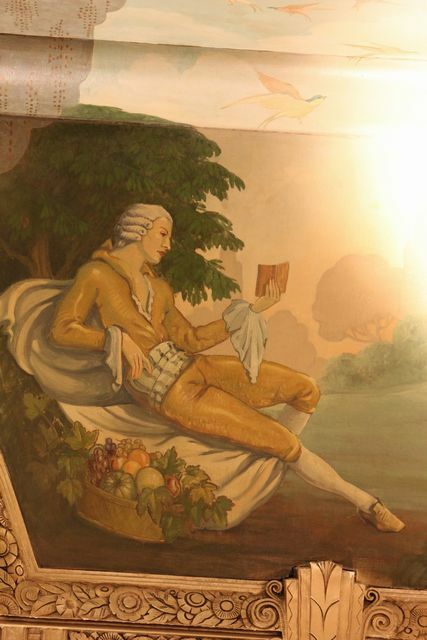 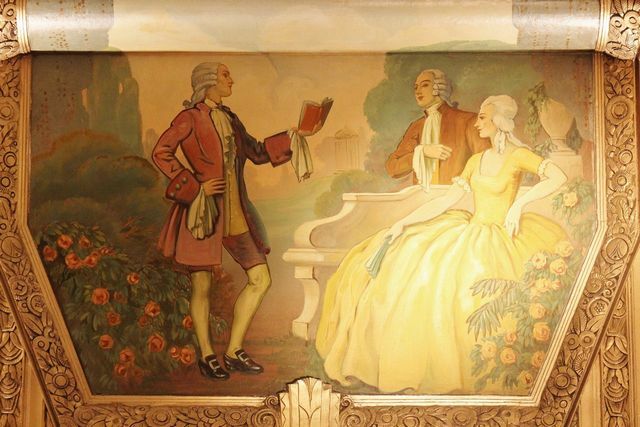 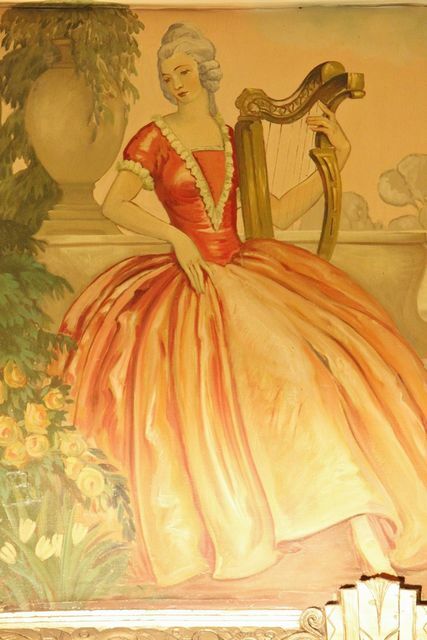 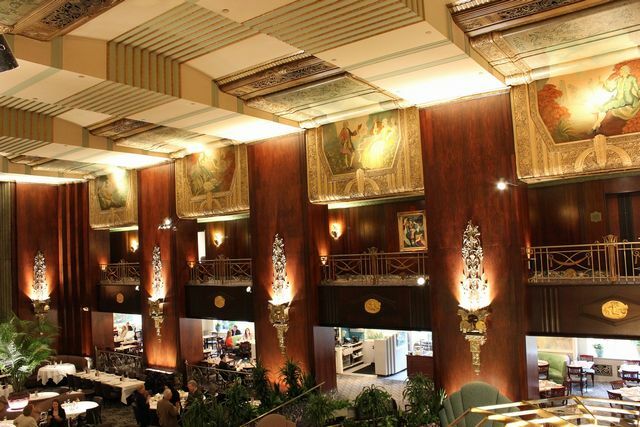 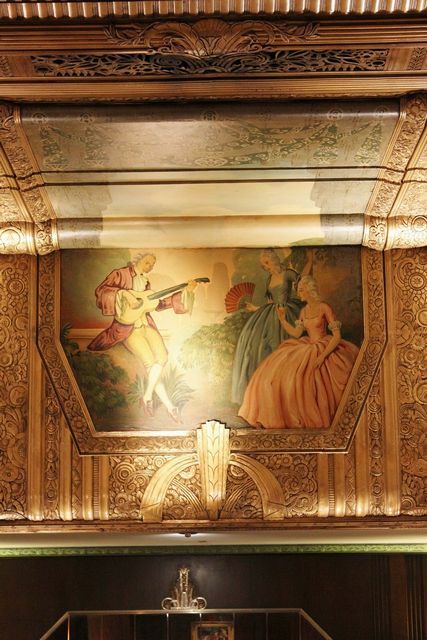 Ten French themed wall-to-ceiling murals adorn the expansive Palm Court structure which was the original hotel lobby area. 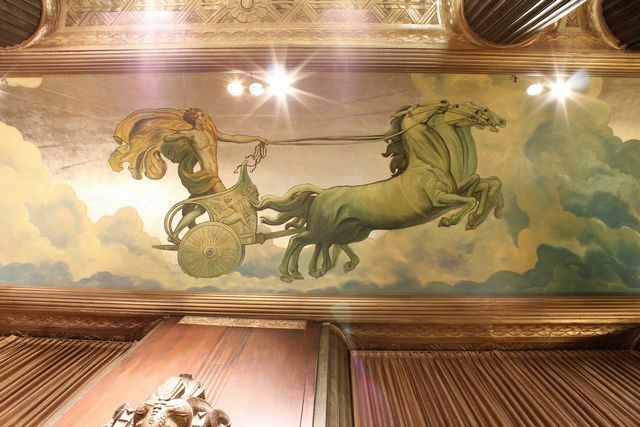 The ceiling of a nearby large corridor has yet another of Grell’s allegorical Apollo figures ridding his sun drenched Chariot surrounded by Mr. Grell’s famous clouds. 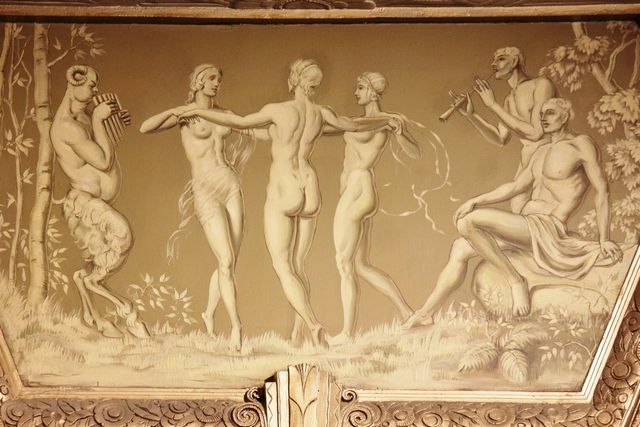 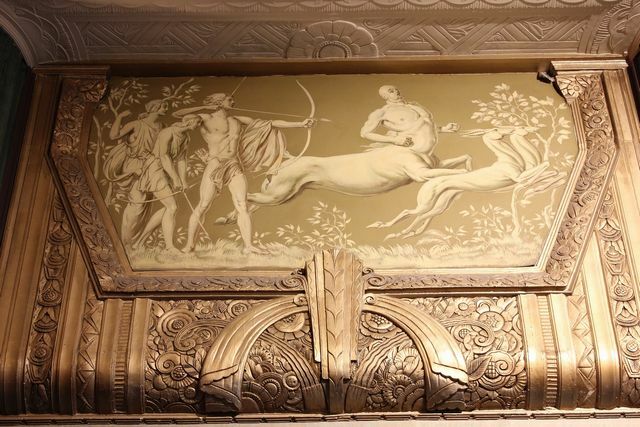 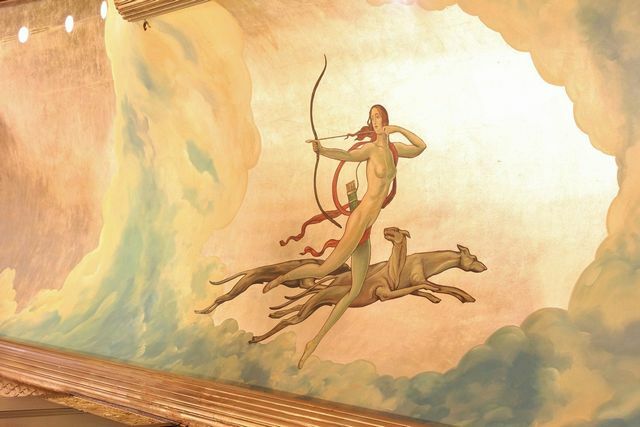 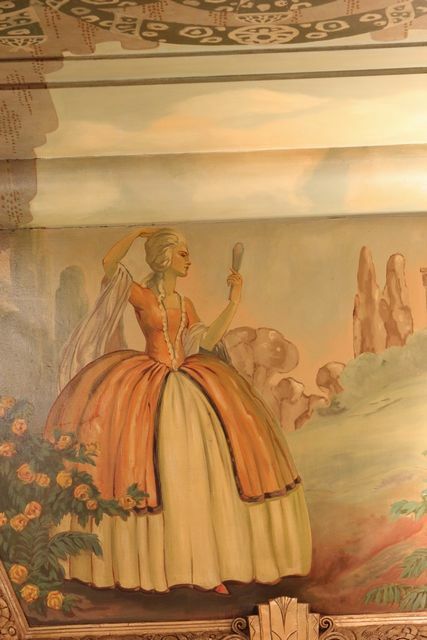 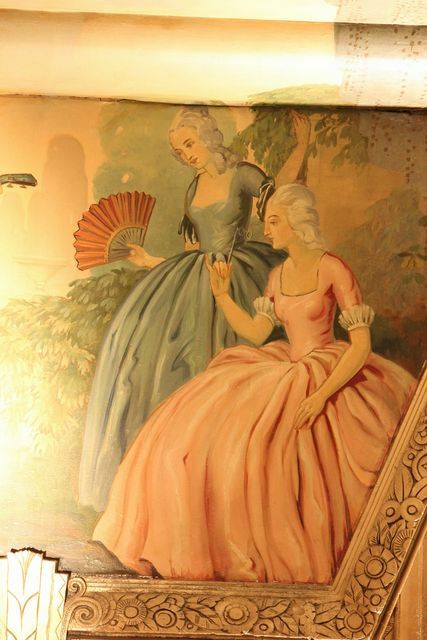 Mythological figures painted in the traditional Grell style are abundantly found throughout this 1930’s preserved hotel. 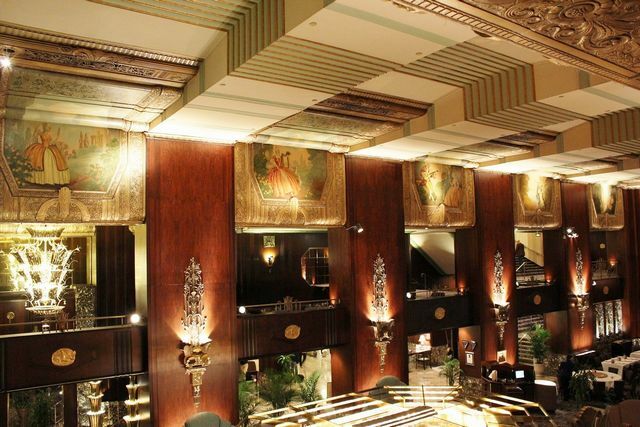 This truly is a wonderful collection of Mr. Grell’s finest craftsmanship maintained on permanent public exhibit inside another National Landmark and Historic Hotel of America. 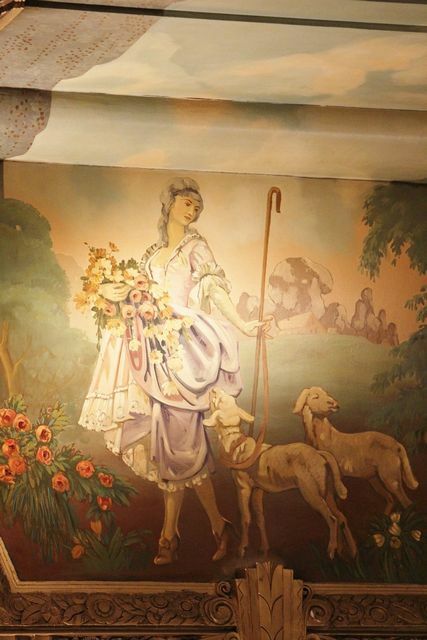 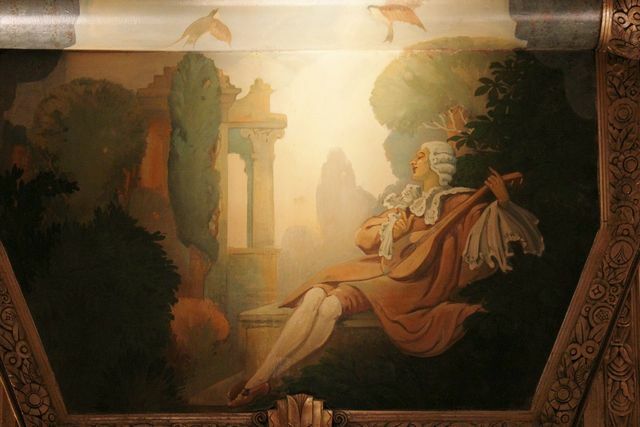 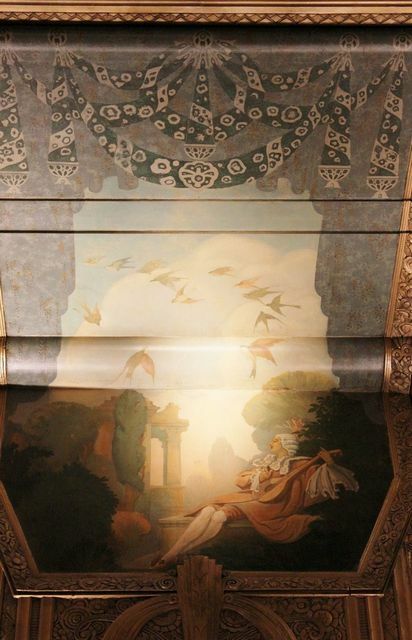 Also included are photographs of his four 6 foot by 12 foot murals inside the Continental Room just beyond the Apollo Gallery murals. 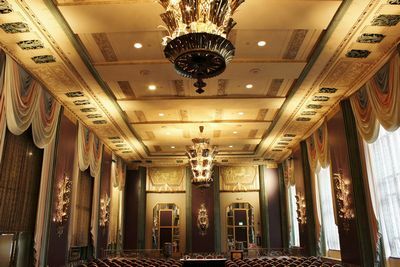 This is another very large room. 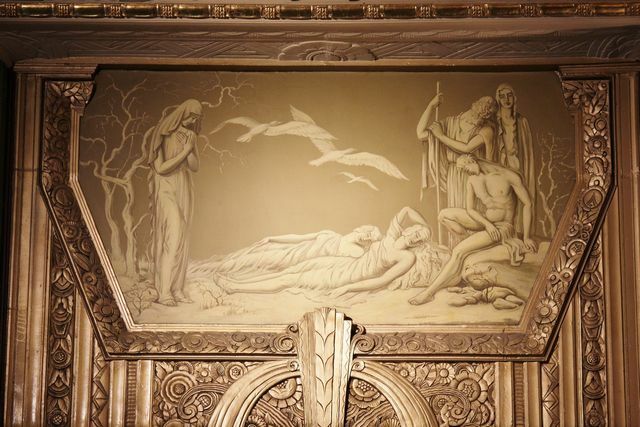 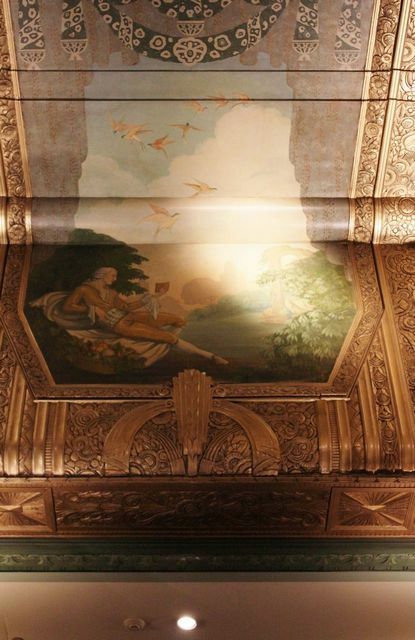 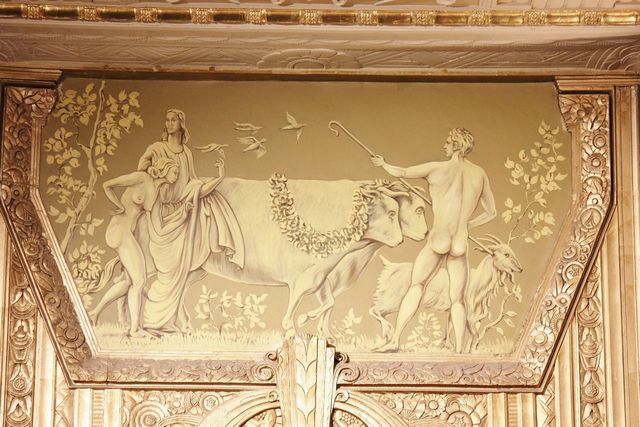 Each mural depicts one of the four seasons. 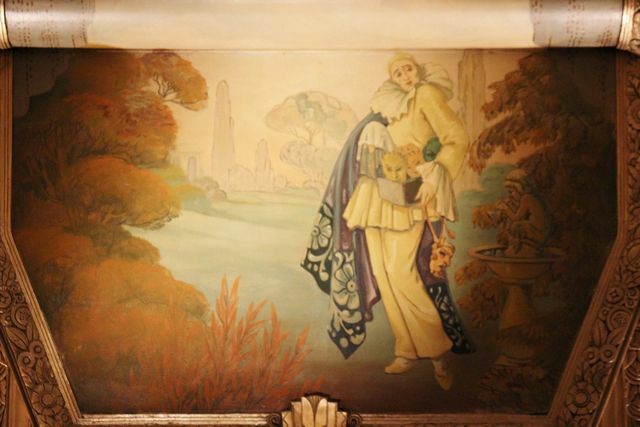 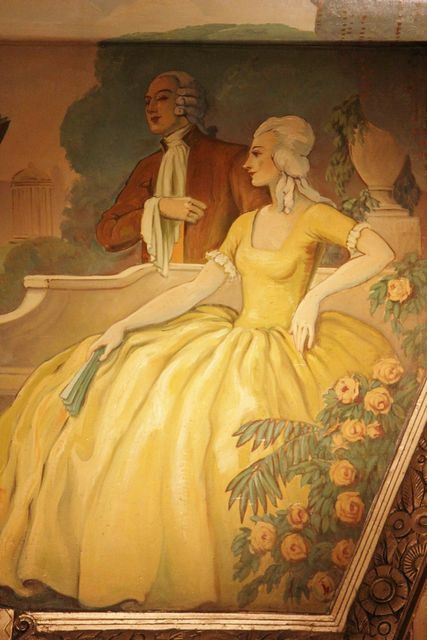 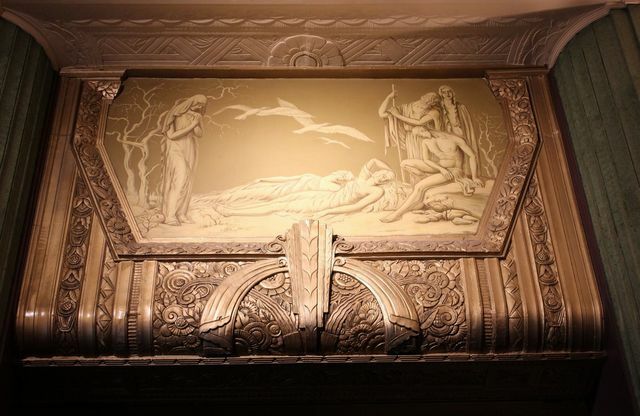 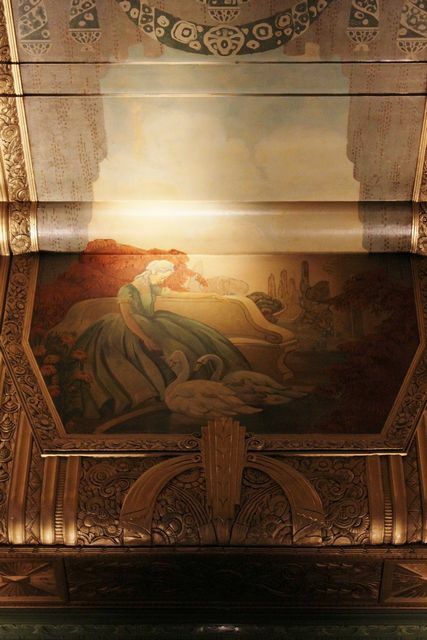 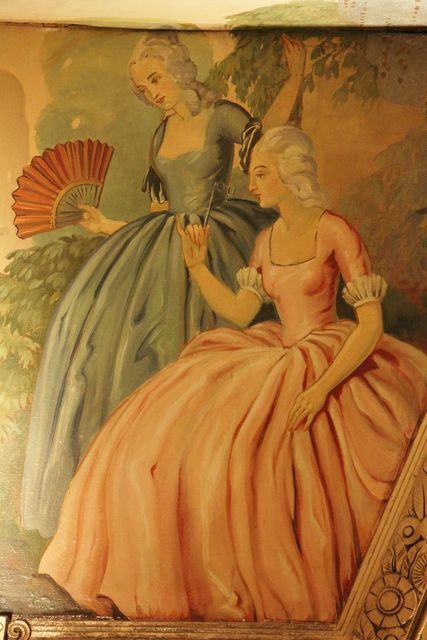 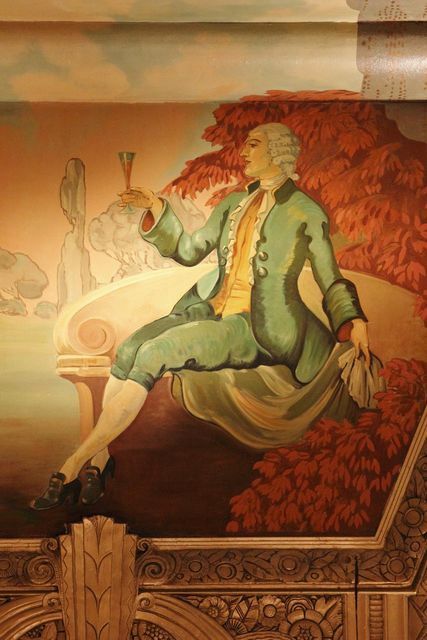 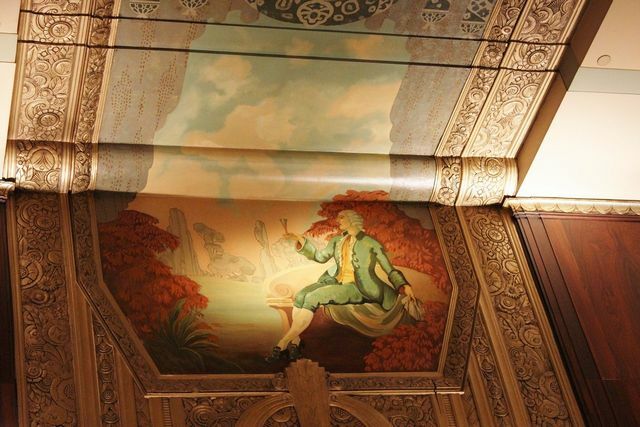 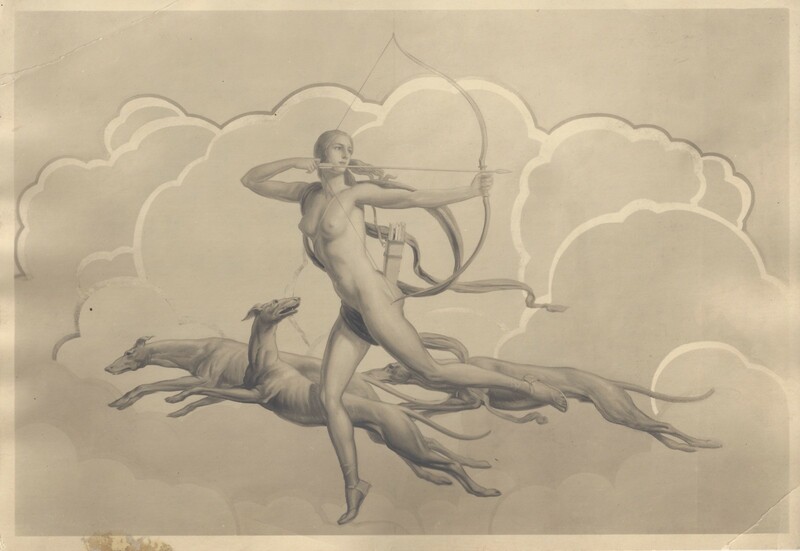 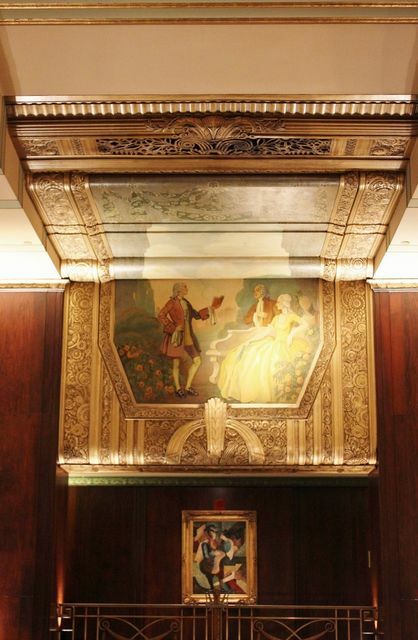 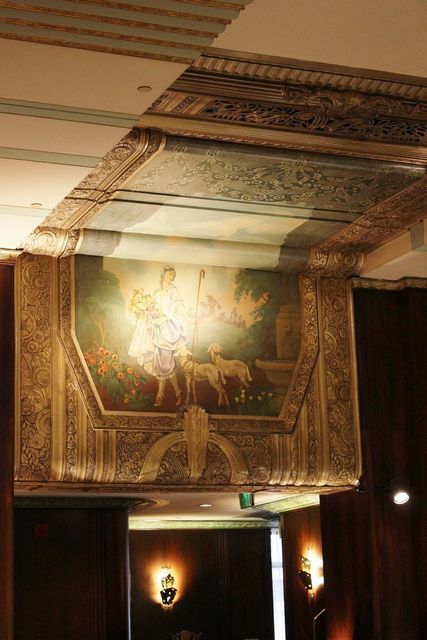 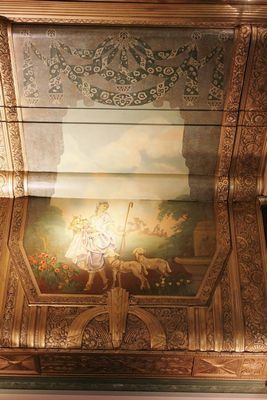 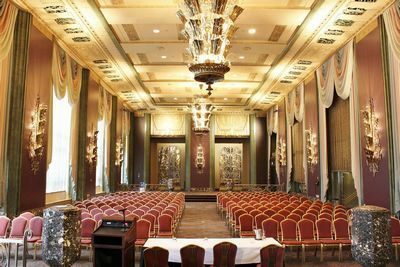 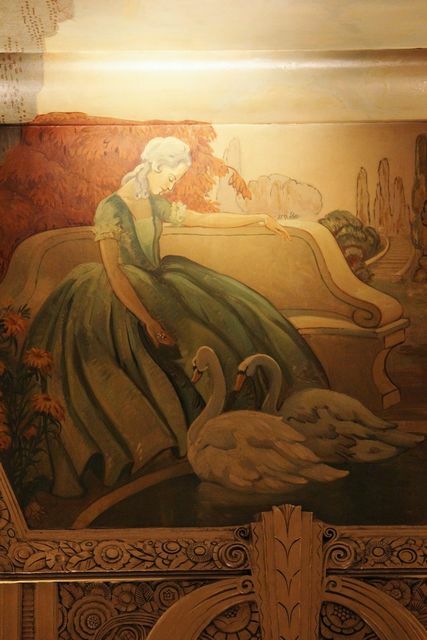 Recreation.gov link of top 12 Historic hotels for romantic rendezvous to visit in America -scroll down to Ohio to see article on Netherland Plaza Hotel and Grell murals.